, bishop of Nebo or Nebbio, one of the most learned men of his time, was descended from a branch of the same noble family with the former; and born at Genoa, in 1470. After having resided some time at Valencia, in Spain, he entered into the order of St. Dominic, at Paris, in 1488; when he took the name of Augustin in the room of Pantaleon, which he received at his baptism. 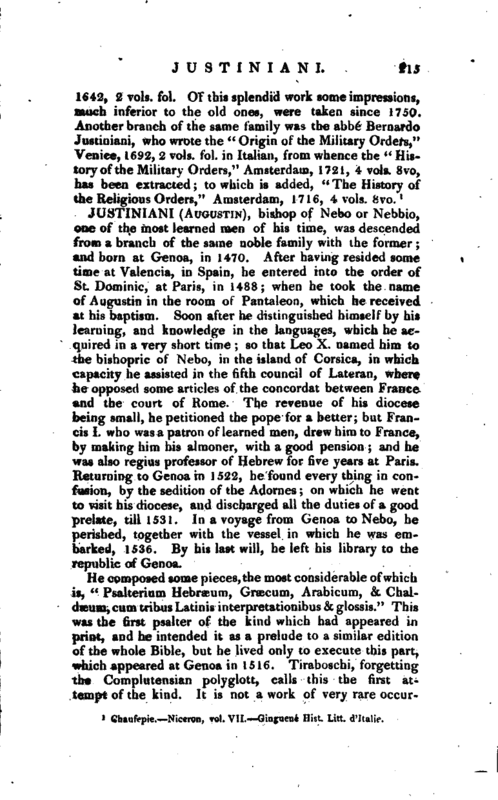 Soon after he distinguished himself by his learning, and knowledge in the languages, which he acquired in a very short time; so that Leo X. named him to the bishopric of Nebo, in the island of Corsica, in which capacity he assisted in the fifth council of Lateran, where he opposed some articles of the concordat between France and the court of Rome. The revenue of his diocese being small, he petitioned the pope for a better; but Francis I. who was a patron of learned men, drew him to France, by making him his almoner, with a good pension; and he was also regius professor of Hebrew for five years at Paris. Returning to Genoa in 1522, he found every thing in confusion, by the sedition of the Adornes; on which he went to visit his diocese, and discharged all the duties of a good prelate, till 1531. In a voyage from Genoa to Nebc, he perished, together with the vessel in which he was embarked, 1536. 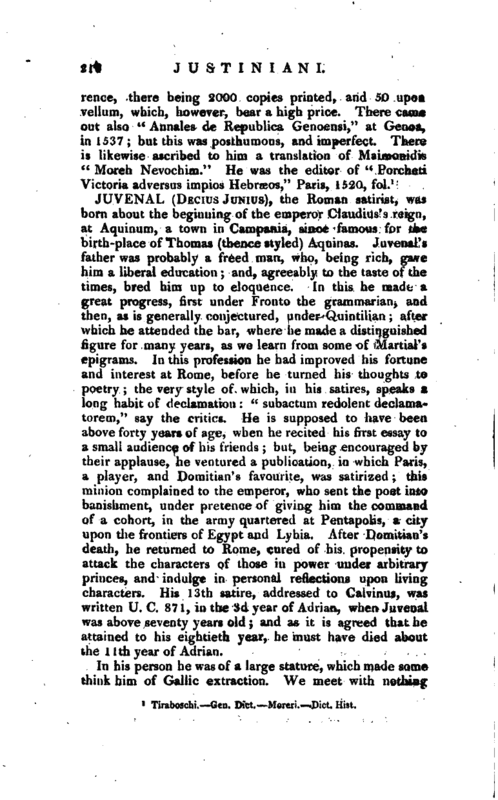 By his last will, he left his library to the republic of Genoa.